5 minutes walk to train station and one minutes walk bus station and many different restaurants. 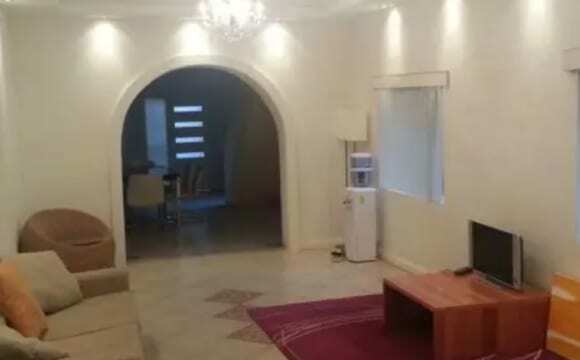 Hi there, This is a five bedroom house with two bathroom ( toilet plus shower in each). There are four bedroom upstairs and one bedroom downstairs. 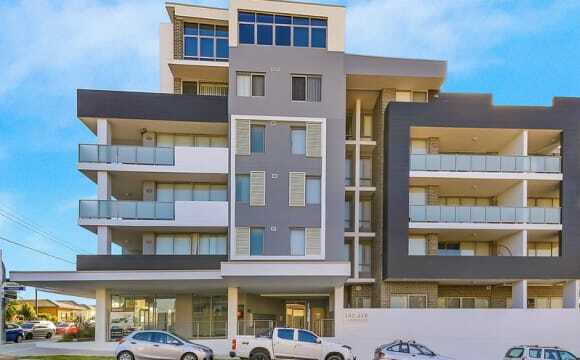 This place is around 09 min walk to Campsie train Station. 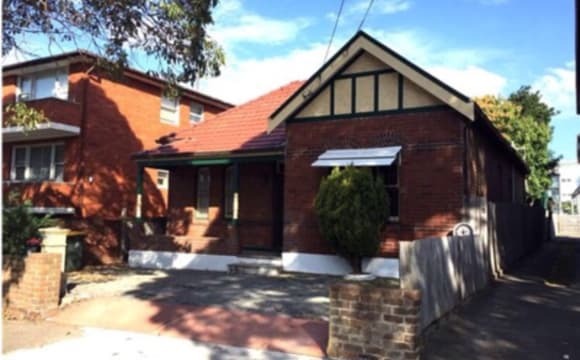 There are couple of bus stops just outside the house which will take you to city, Hurstville,Drummoyne, Bondi, Burwood and etc. 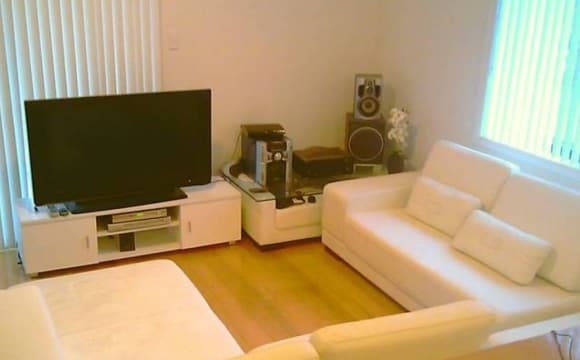 It's Nice, tidy and quite house, the living room is spacious. 8-10 minutes walk to campsie market and the station. We are looking for a female flatmate. Asian backgrounds preferred. This is an unusual unit. It is in a complex but, in a single building with one other unit downstairs. It is large and light with a huge balcony looking onto trees, quiet and private. All new carpet paintwork etc The second bedroom is standard size and unfurnished, looking onto the communal courtyard. It's great value. Available now! 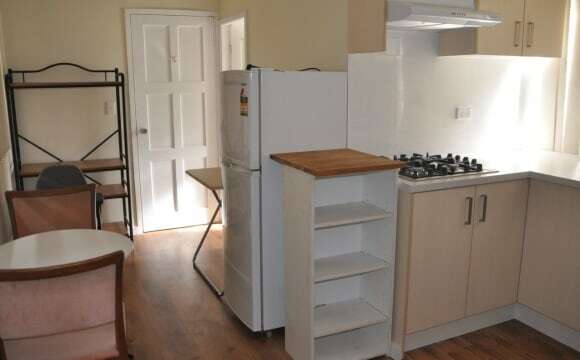 Parking, Internet, storage, spacious modern apartment that’s walking distance to trains and buses. Brand new apartment with affordable price. 10km from City. $0 bills. Train to Central 8 stops. Convenient for USyd/UTS students. Short walk to train/bus, supermarkets (Woolies and Aldi), gym, parks, racecourse, and riverside. 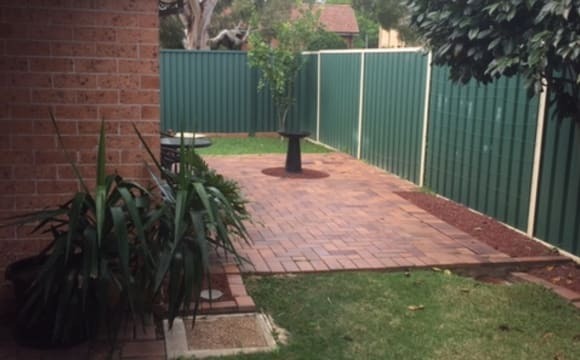 Near Marrickville, Ashfield, and Campsie major shopping areas. Modern living space that opens out to covered entertainment area. Super Fast NBN unlimited internet. TV in room. Pool, garden, and BBQ setting. 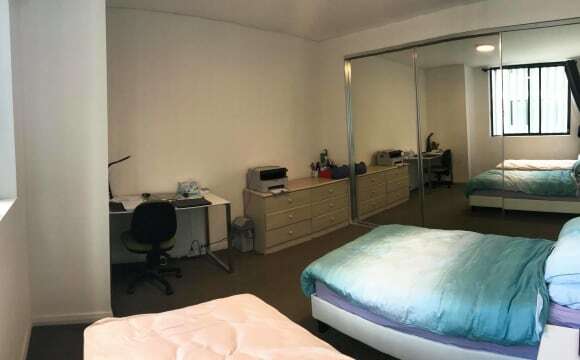 Large fully furnished room. 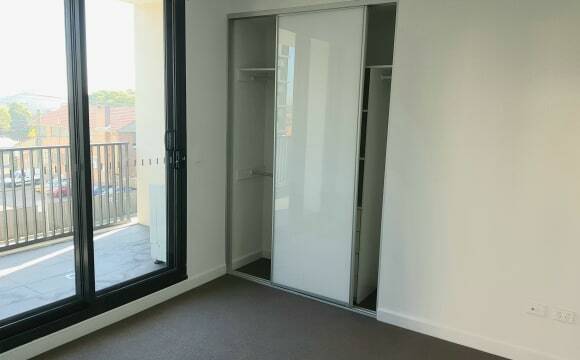 Spacious built in wardrobes. Enjoy a house instead of a flat. LGBT+ friendly. Free on street parking. APARTMENT: - Brand new apartment (completed in April 2018) - Stunning Views from level 8 - Large sun drenched balcony - Large open plan living area - High quality fixtures and fittings throughout - Designer bathroom - Designer gas kitchen with stone tops and SMEG appliances - Parking: 2 x Secure basement parking and storage - right next to the lifts. 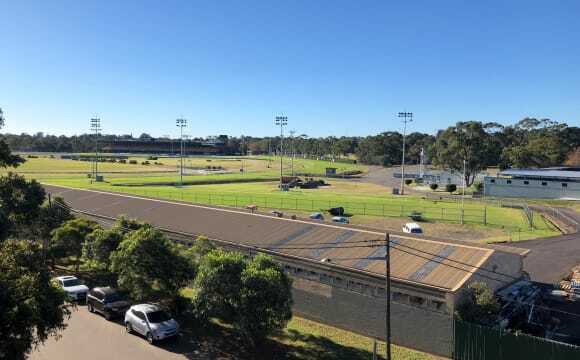 - NBN connected and ready to use. 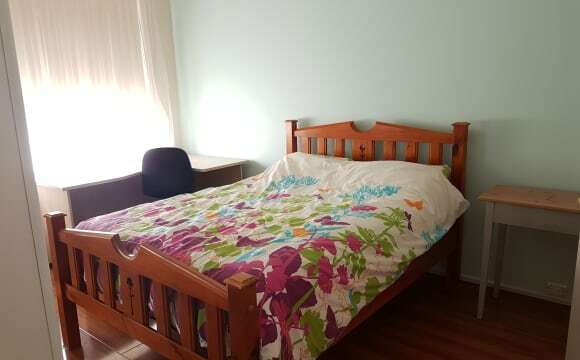 2 bed / 2 bath + study apartment in the heart of Canterbury: - 3 min walk to Canterbury Station - 3 min walk to Woolworths - 3 min walk to Canterbury Plaza (medical centre, nail salon, priceline) - 10 min walk to ALDI - 23 min on the train to Central Station - 20 min drive to Central/ Broadway ROOM: fits queen bed + furniture. - Private room, built-in wardrobes, own bathroom BILLS: NBN internet is included. Gas and electricity bills (not included) are paid on a separate basis. 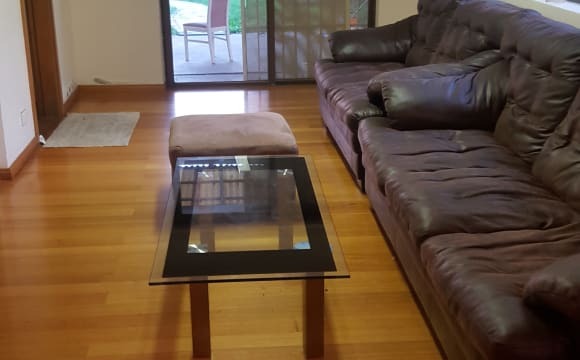 Bond: $1280 Furniture: If you take over the lease, I can sell all furniture for good price inc. fridge, tv, microwave, kettle, toaster, sofa bed, coffee table, dining table, chairs, outdoor chair set, queen bed mattress, queen bed frame, etc. Anyone who wants to take over the lease in June - rent is negotiable, please contact me! Currently have a flatmate living in Ensuite room. I'm looking for someone to take over my room &amp; the lease in June! :) Flexible with furnishing and move in date. 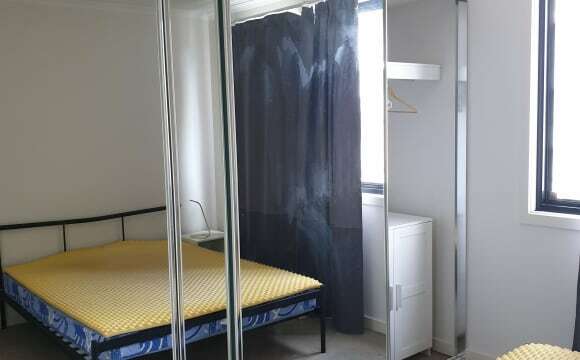 SHARED MASTER ROOM AVAILABLE AT BRAND NEW APARTMENT NEXT TO CANTERBURY STATION - LEVEL 6! Hiya, I'm looking for a girl to share the room with! It's a master bedroom (twin room) with ensuite bathroom and the built-in closet. $185/WEEK all bill included! Available 04/04/19! 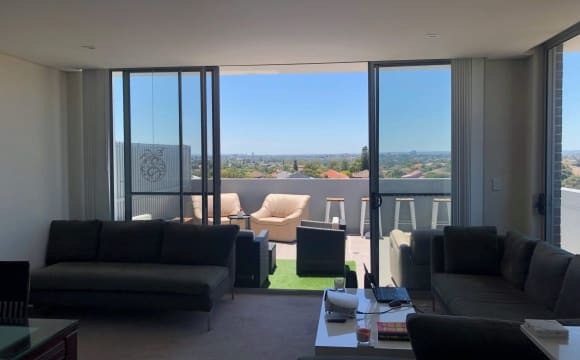 The reason why I love living here: * Large open plan living areas - big balcony with great and spacious view to surrounding areas * High-quality fixtures and fittings throughout * Great size bedrooms with built-in wardrobes * Secure basement parking * 2 bathrooms, huge &amp; modern kitchen! --- ALL NEW FURNITURE IS PROVIDED!! --- LOCATION - I'd say it superb location which closes to everything! 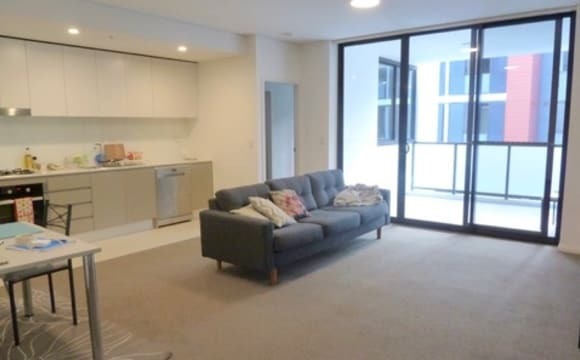 - 1-minute walk to Canterbury station - WOOLWORTH, PRICELINE &amp; various shops just downstairs - 20 minutes by train/drive to Central Station - Close to various transport options, including buses, trains etc. 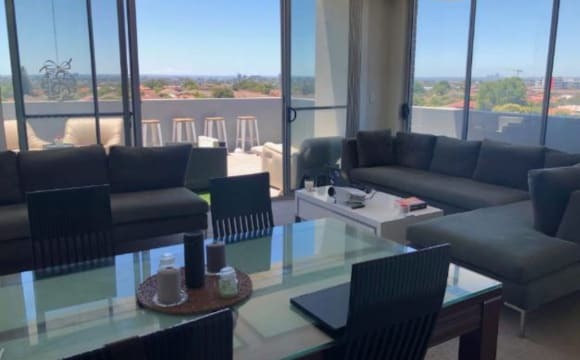 easy access to beaches &amp; Sydney airport NOTE: - 4 weeks bond and two weeks advanced rent due at signing of rental agreement. Rent is due every second week. Minimum stay for 3 months. ALL BILL INCLUDED (Gas, Water, Electricity &amp; Unlimited NBN Internet) - only 185$/WEEK! Everything is clean and modern, ready for you to move in! Just give me a call or text for the inspection this week. Please tell me a bit about yourself thus we can be able to know more about you! A bit about me: I'm a super outgoing, friendly &amp; funny person that working full time in finance. Never say no to food, especially over a pina colada. I enjoy various outdoor activities so you're gonna see me out most days! Love travelling, wouldn't mind a movie night or home cook dinner with my future roommate! ;) Thank you and hope to hear from you! I have two available private rooms to rent out. 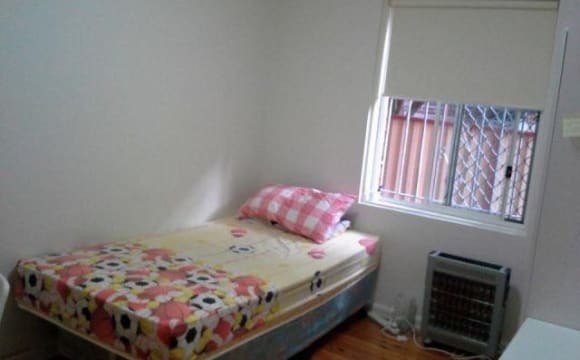 These room are really spacious, furnished with drawers and built-in wardrobe (bed and study desk are available upon request), available for single girl living in each room. 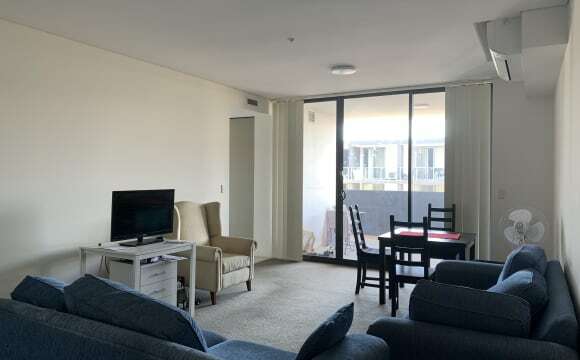 An apartment is next to Canterbury station, which is just 20 mins away from City. We have Woolworths, Price Line, Campos cafe downstair for your convenience. You have your own private ensuite! Our home is large and spacious. It's kept very clean and tidy. It's located on a very quite street with only local residents using the street. there is a park only 30m away at the end of the street This is a quiet house, no parties are allowed. 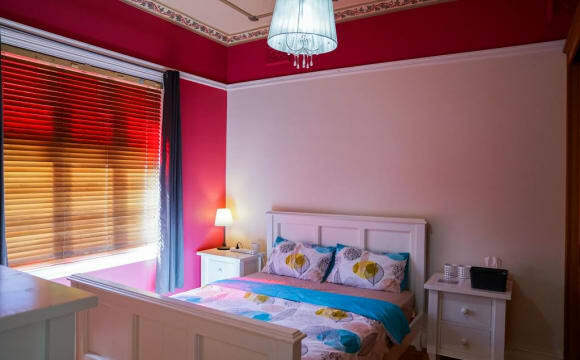 You will have a large, fully furnished lovely room with a TV, WiFi connection, Queen sized bed, plenty of cupboards, huge wardrobe in a cosy, comfortable and clean 2 bedroom house next a beautiful park in a cul-de-sac. 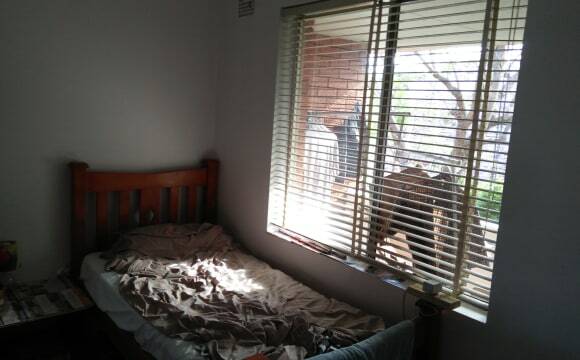 The room overlooks a nice garden and will offer privacy. 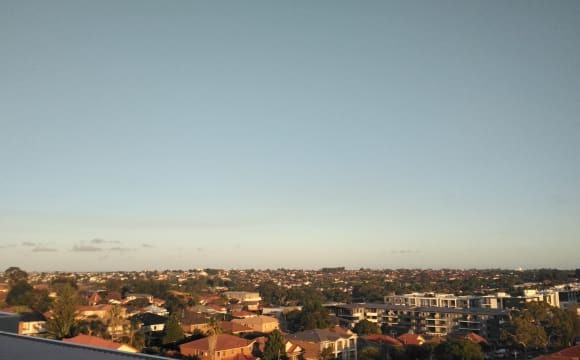 There is air-conditioning in the house, buses within walking distance and the closest train station is Strathfield. 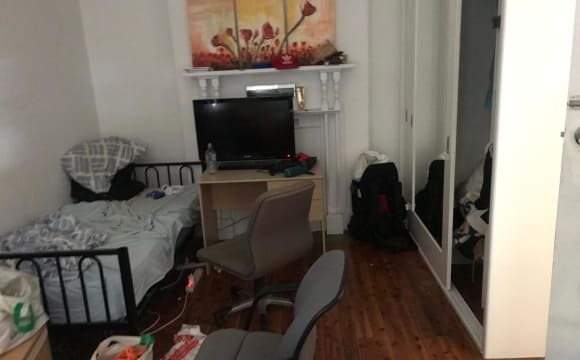 Huge fully furnished private single room available for full-time student/worker (18-30yo preffered) Location: close to local amenities: - 15min walk to Campsie train station - 5min walk to restaurants, cafe's and fast food outlets - close to outdoor parks - bus stops in front going to Ashfield/Burwood/Campsie/City - 15mins drive to the City - unlimited on-street parking Fully furnished comes with queen bed, clothes hanger and bedside table. Shared areas include the new fully equipped kitchen, new bathroom, laundry and living room. Room has own private balcony. Rent for own private room is $195 p/w and the internet / bills will be $15p/w. Only sharing apartment with one other female that works full time during the week. Only 1 week deposit required. Housemate must be clean, responsible and friendly. No smoking and no pets sorry. Suitable applicants will need to be either working or studying. If you would like to view the room please get in touch and we can arrange an inspection. We have 1 bedroom for rent in a 4 bedrooms &amp; 2 bathroom house with a backyard. Couples are welcome but rent might be a little more with one additional person. We are 5 min from bus and few blocks away from coles and the Clempton park shopping area. The cook river walk is also 5 min away for a good run. 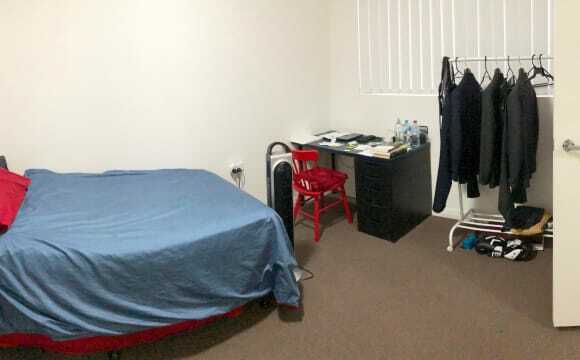 The room is available now and ready to move in with or without furniture. All bills are included apart from electricity.